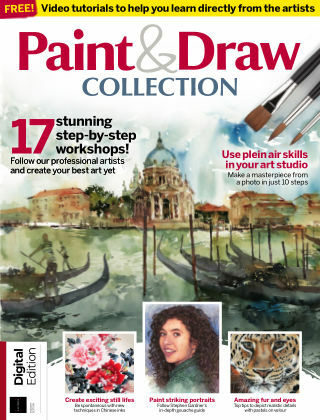 With Readly you can read Paint & Draw Collection and thousands of other magazines on your tablet and smartphone. Get access to all with just one subscription. New releases and back issues – all included. Creating a piece of art is a rewarding, challenging and very personal endeavour – the Paint & Draw Collection is here to take you through that journey from start to finish. Art is subjective, and many artists tend stick to one medium. Whether you are interested in oil painting, watercolours, pencil sketching or pastel work, there’s something for you. From quick tips to in-depth tutorials that will guide you from initial sketch to finished piece, learn how to develop your skills and produce your best work yet. You’ll be able to experiment with an unfamiliar medium thanks to the step-by-step workshops that cover everything from essential pencil shading techniques to getting the most out of plain air painting.